The proprietors, Christine Bruce and John Hilliard, have a colorful background. Christine worked as a professional keyboardist for various pop bands for 11 years and then founded HB Arabians, a breeding operation for Arabian norses. John managed a successful shipyard business on Brady Island in Houston, Texas. 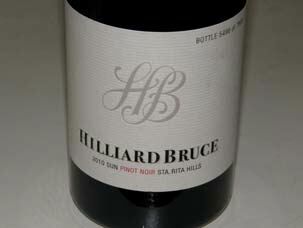 Because of the challenges of successful winegrowing in Texas, they moved to California and together, bought the 101-acre Hilliard Bruce property in 2002. The estate 21-acre vineyard was planted beginning in 2004 to Pinot Noir and Chardonnay. The vineyard is located on Highway 246 directly across from Dos Hermanas Vineyard (formerly Ashley's). The vineyard had 15.7 acres of Calera, Pommard, 115, 667, 777 and "828" (later grafted over to Chardonnay), 2,420 vines per acre, and 5.3 acres of Chardonnay (clones 76 and 96). Yields are very low (1lb per vine in 2010). Certified Sustainable by SIP. 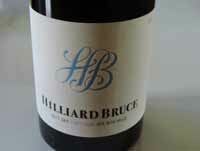 The vineyard is meticulously farmed by owner John Hilliard and noted viticulturist Jeff Newton. A new LEED-certified winery was finished in time for harvest 2014. The facility includes an underground cellar, a demonstration kitchen and dining room and a tasting room. 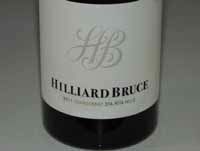 The estate Pinot Noir was first offered in 2008. The owners are well-educated winemakers with John focusing on Pinot Noir and Christine on Chardonnay.The wine is sold primarily online through the website and via a mailing list. Tours and tasting by appointment only.